Dr. Adam Postel grew up in New Jersey and graduated from The Pennsylvania State University. He went on to receive his dental degree from the University of Medicine and Dentistry of New Jersey. He then pursued a specialty in Pediatric Dentistry at Montefiore Medical Center/Albert Einstein College of Medicine in the Bronx. There, he was selected by his colleagues and attending doctors as Chief Resident. Dr. Postel is an active member of the American Academy of Pediatric Dentistry and is board certified. 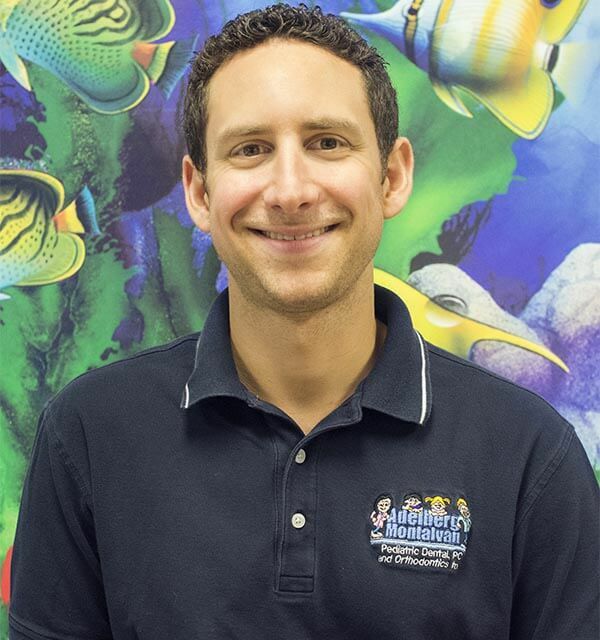 Dr. Postel loves being part of the team at Adelberg-Montalvan Pediatric Dentistry and loves to keep children smiling with his compassion and sense of humor. He usually works in our Nesconset location. When not practicing pediatric dentistry Dr. Postel can be found exploring museums and restaurants in New York City, rooting on NY sports teams, traveling and spending time with his friends and family. He is married and loves living on Long Island.